Thanksgiving desserts are what I believe most people look forward to most about Thanksgiving. And what would Thanksgiving be without Apple Pie? What would the entire Fall and Winter seasons do without apples? Well, luckily we’re not going to find out because I’ve included a recipe, based on Marie Colbath’s Apple Pie that everyone is guaranteed to adore. I assure you that I haven’t forgotten about the infamous Pumpkin and Pecan Pies, but I figured I’d start you all off with my favorite. 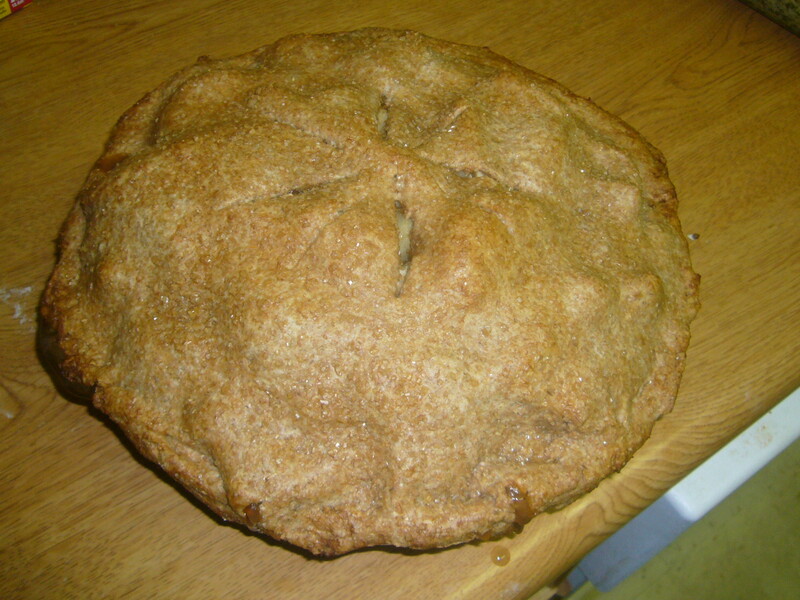 But, while we’re on the subject of pies, I’d definitely recommend baking one if you haven’t before. 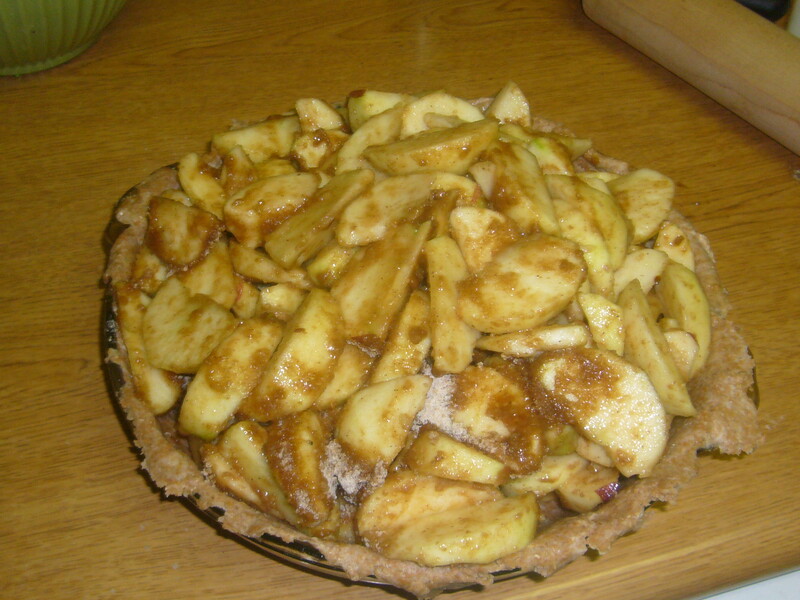 Most beginner cooks and even advanced are adverse to baking pies because of the dreaded crust. But as you’ll see the crust for this Whole Wheat Apple Pie recipe is fairly easy and can be substituted for any other pie crust out there. And pie just isn’t the same with a store-bought crust! Even the Food Network is encouraging homemade crusts with their tutorial, 6 Tips for Perfect Pie Crust. 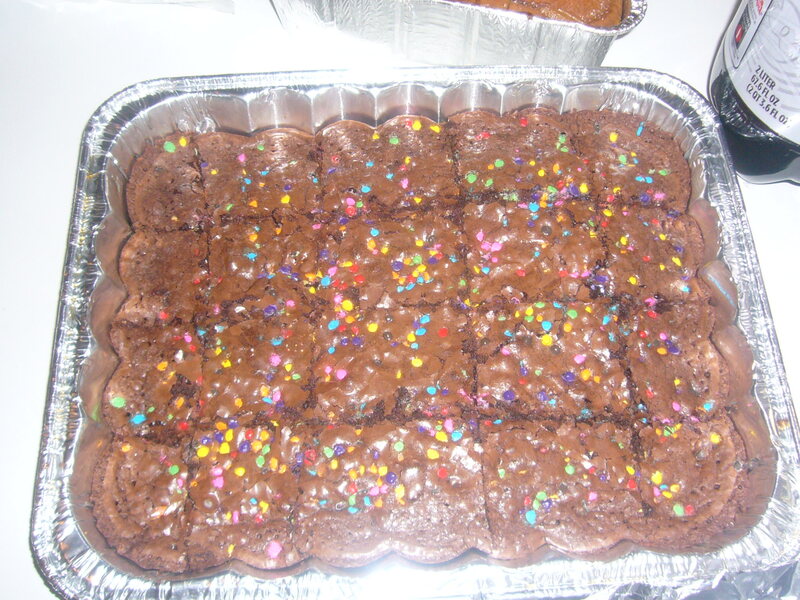 But, if you’re pressed for time, or just don’t feel like baking you can make Pillsbury’s forever crowd pleasing Funfetti Brownies. Between the velvety chocolate inside and the colorful funfetti, I don’t think anyone will hold them against you. 1. 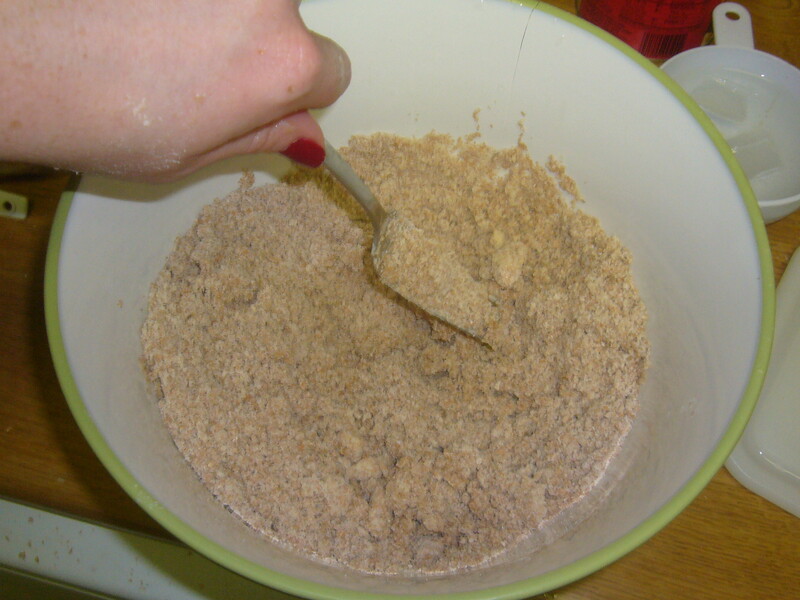 Lightly spoon white and whole wheat flour, bran, turbinado sugar, cinnamon, and salt into their respective measuring cups, level with a knife, and combine (through a whisk) in a large mixing bowl. Cut in 1/2 cup of chilled butter with a pastry blender or 2 knives until mixture resembles coarse meal ( I usually work the mixture with my hands). 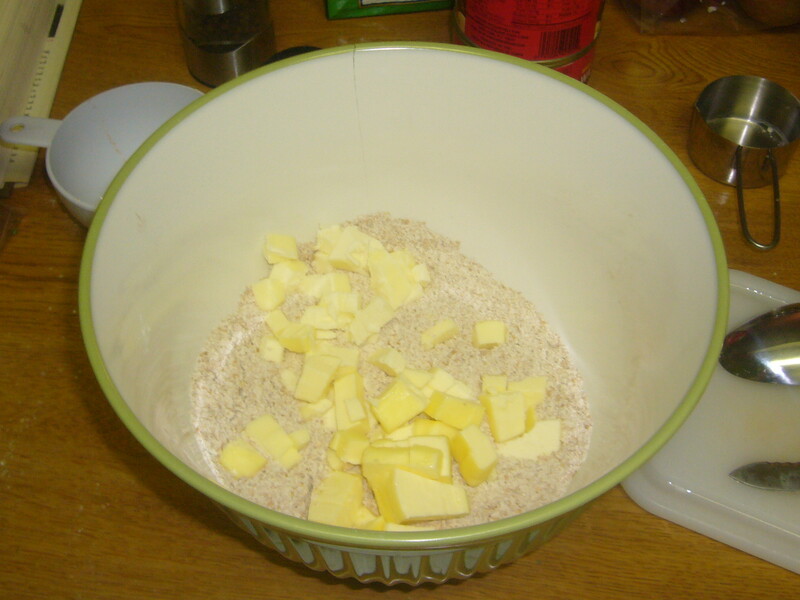 The mixture should be crumbly and the butter should be broken down into small pea size balls. 2. Sprinkle surface with ice water, 1 tablespoon at a time and toss with a fork until moist and crumbly (do not form a ball). It is important for the dough to be only slightly saturated with the water. Dense and sticky dough yields an unenjoyable chewy crust. 3. Divide the fluffed dough in half. Gently press each half into a 4-inch circle on 2 sheets of overlapping heavy-duty plastic wrap and cover with 2 additional sheets of overlapping plastic wrap. Chill 30 minutes. 4. 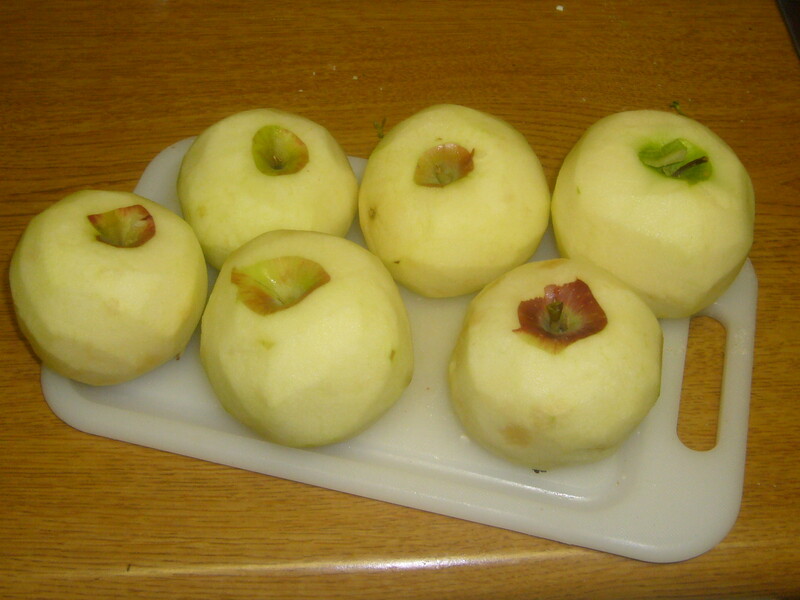 Peel and core the 3 pounds of apples, slice them into small pieces, and place in a large mixing bowl. 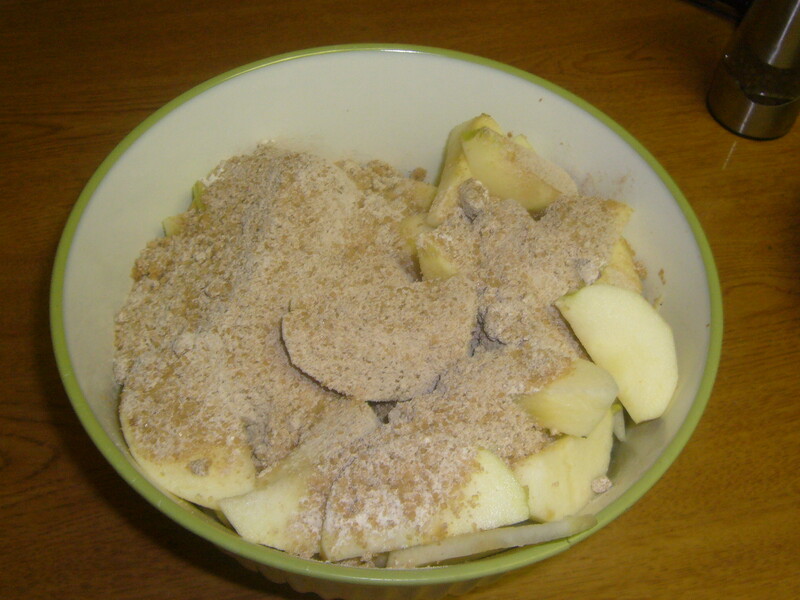 Combine brown sugar, granulated sugar, flour, cinnamon, nutmeg and all spice in a small bowl. 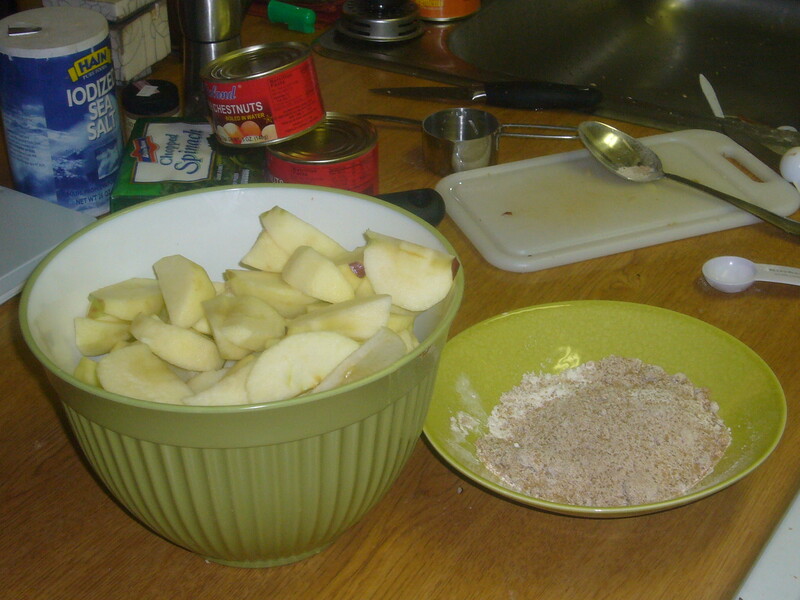 Then sprinkle sugar mixture over apple mixture and toss well to coat. 5. Pre-heat oven to 425 Degrees. 6. Roll 1 dough half, still covered, into a 12-inch circle. Roll remaining dough half, still covered, into an 11-inch circle. Chill for an additional 30 minutes if the dough is too soft (splitting apart, or difficult to roll or mold). 7. 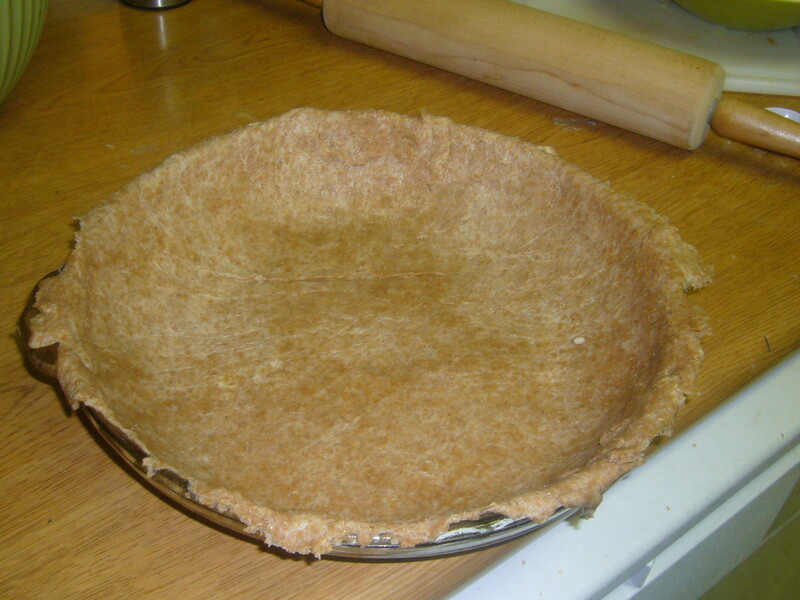 Remove top 2 sheets of plastic wrap from 12-inch dough circle; fit dough, plastic wrap side up, into a 9-inch deep-dish pie plate coated with cooking spray, allowing dough to extend over edge. Remove remaining plastic wrap and spoon filling into dough. 8. Remove top 2 sheets of plastic wrap from 11-inch dough circle; place, plastic wrap side up, over filling. Remove the remaining plastic wrap and press edges of dough together. Fold edges under, and flute. Cut 4 (1-inch) slits in top of dough to allow steam to escape. 9. Brush top and edges of dough with egg white or milk and sprinkle with 2 tablespoons of turbinado sugar. 10. 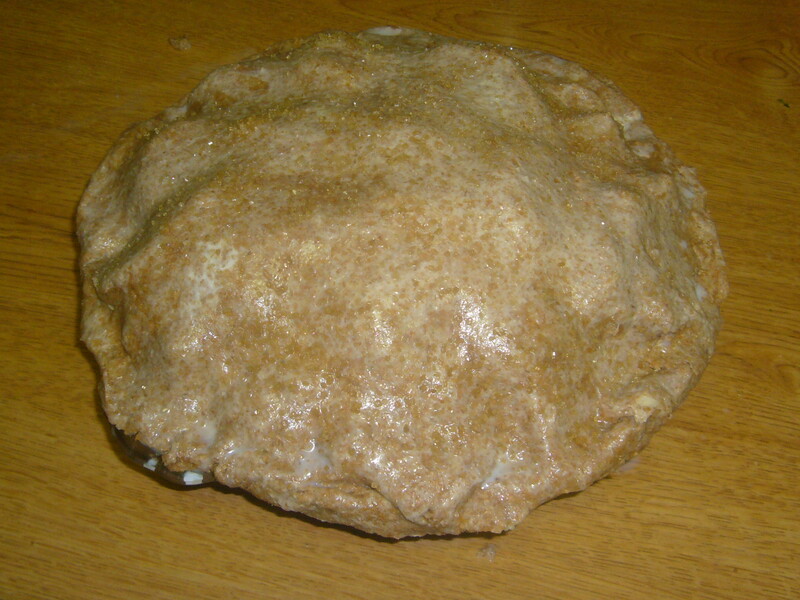 Place pie on a baking sheet. Bake at 425° for 25 minutes. Reduce oven temperature to 350° (do not remove pie from oven); bake an additional 30 minutes or until golden. Shield pie with foil, if necessary. Cool on a wire rack. Serve Warm.